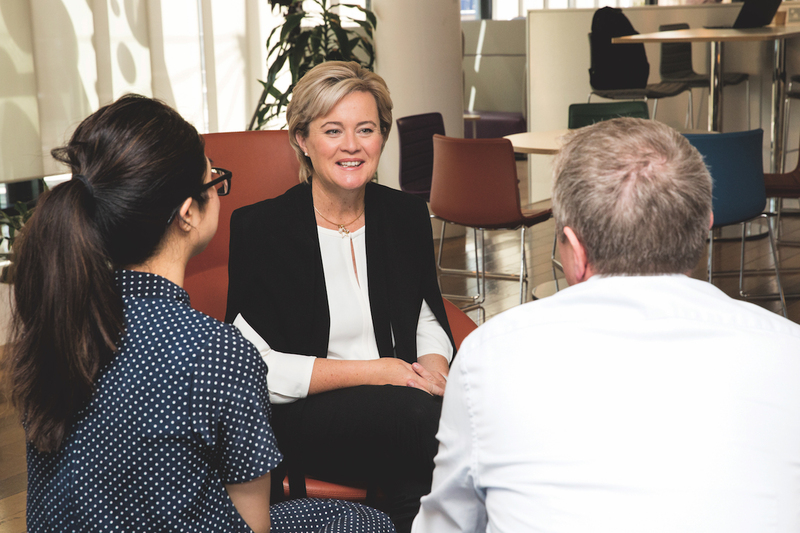 As Country Chair for Australia and New Zealand, Karen Hood is driven by the fact that when her team at Sanofi gets it right, the entire community benefits. As a girl, Karen learned quite literally that it’s important to get back on the horse. Her family were thoroughbred horse trainers and her weekends and holidays were spent riding and competing in shows. “Horse showing is fiercely competitive,” she says, “as is any pursuit at the top level. Success requires courage. You don’t always stay on the horse, but we had a family rule that you always got back on. It meant that, over time and with hard work, you could build resilience, hone your strategy, and improve. They’re lessons that have stayed with me.” Karen shares how that upbringing has informed her leadership style at Sanofi. The CEO Magazine: You’ve been with Sanofi for more than two decades. What attracted you to the company in the first place and why have you stayed? Karen: I initially joined what was Rhone-Poulenc Rorer, which later became part of Sanofi. In those early years, we were a hospital-focused business. Today, Sanofi covers the full spectrum of health, from general medicines through to diabetes, cardiovascular care, vaccines, rare diseases and over-the-counter-style consumer healthcare products. We are manufacturers and we are innovators. Sanofi has more than 16,000 employees committed to research and development worldwide. When I first joined Sanofi, I remember being surrounded by some pretty incredible people. They believed in the organisation, their colleagues and their ability to make a difference to patients’ lives. I was also fortunate enough to be exposed to the organisation’s most senior leaders quite early in my career. They informed my leadership foundation, particularly the importance of integrity and being true to oneself. I often reflect on what this group of leaders would have done in certain situations. There’s always incredible satisfaction when we receive a note thanking us for a medicine or service that has in some way, large or small, helped someone. It’s a reminder that our work is a privilege and also an incredible responsibility. You played a leading role in the company, receiving industry recognition as the best sales team of the year in 2014. Can you tell us how you managed that? That journey started in 2008, with an idea to improve our key account customer experience by focusing on what was important to them. The idea was simple but its implementation took teamwork, commitment and a new approach for the organisation. We started by asking our customers what they needed from a supplier. Then we looked at our internal capabilities and processes, and set about how to deliver. We created a highly specialised and dedicated team who were there to know their accounts inside out. We set up internal ways of working to ensure the team was well networked across our business so that they could mobilise quickly when their customers needed them to. And we invested in our people, to hone their skills and make sure they could be the best in the industry. Once the team was in place, we asked our customers to rate our performance compared with what they had indicated as their most important criteria. Then we kept the research up. Each time the research was undertaken, we ranked number one. The award win in 2014 was a wonderful team achievement and great industry recognition for what was sustained performance. More deeply, the project reflects the way I like to work: keep it simple, know what you need to deliver, hone your strategy, and support your people. When you combine that approach with a commitment to your purpose and values, the course is easier to steer. How have your responsibilities evolved over your time at Sanofi? the Australian healthcare industry is actually something that brings me the most value. Understanding the changing, broader environmental context that your business operates in is a critical building block for strategy development. When it comes to health care in Australia, for instance, our industry can’t ignore the fiscal challenges the government is facing. It’s a backdrop we need to consider when we ask ourselves how we’re going to explain the value our industry brings to the nation. We save lives and prevent disease, while at the same time make an enormous economic contribution via high-skilled jobs and exports. There are also other external drivers to consider. The need for Australia to leapfrog its attention to STEM education as an informer of future productivity, and how we accelerate local innovation in health care, are both big issues. 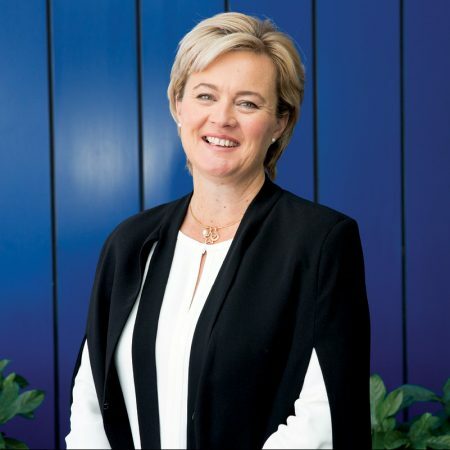 Within Sanofi Australia and New Zealand, for instance, we know we need to focus on capability building for future roles, so our five-year plan includes the creation of career pathways linked to the future of work. That means an investment in building STEM capability across a range of roles. Science and health are clearly already strong points, but we’ve been asking questions about our technology capability build, particularly when it comes to data and digital. We’re answering those questions via career mapping and talent acquisition as part of our local five-year plan, and we’re now looking to new parts of our business to drive shared value. We’ve also entered into a new partnership with The Smith Family, focused on bridging the STEM divide. Via that partnership, we sponsor a number of STEM-focused tertiary students in our community. We’re also working closely with The Smith Family to engage our people in student mentoring programs, volunteering and more. The programs we’re investing in today – whether they be via our external affairs program, HR talent mapping programs, or our corporate responsibility partnerships – are all a reflection of our local commitment to our purpose, an understanding of our broader environmental context, and a commitment to bring those together as informers to our five-year plan. It’s been said that you have a strong interest in purpose-driven leadership. Can you explain this? it becomes an informer for strategy development through to day-to-day decision making. Purpose isn’t a vision or a mission; it’s the fundamental reason why an organisation exists. At Sanofi Australia and New Zealand, our purpose reflects our overall commitment to our patients and consumers, our people and our communities. We work passionately every day to understand and solve the healthcare needs of people across the world. We live our purpose by always being true to our values of respect, integrity, courage and teamwork. We encourage our people to recognise each other when someone’s commitment to our purpose or values is on show. We have an internal system called Pulse that they use to acknowledge their peers when they show courage, respect, integrity or teamwork. The stories are uplifting – from people helping each other to get the day-to-day business done, to people going above and beyond to deliver the right results for our patients and customers. Being true to our purpose and values means our people can be proud not just of the impact we make with patients and consumers each day but of our commitment to our broader social contract. When we get it right, we can assist in building stronger communities for the longer term.